Based on the classic novel of the same name, the international thriller is set at the height of the Cold War years of the mid-20th Century. 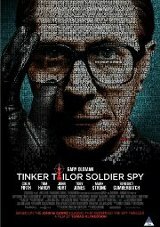 George Smiley, a disgraced British spy, is rehired in secret by his government — which fears that the British Secret Intelligence Service, a.k.a. MI-6, has been compromised by a double agent working for the Soviets.